Interviewer: Do you still prefer playing in clubs than in bigger areas? Fernando: Yes, I think it´s a perfect atmosphere for us but of course there´s nothing wrong to perform at festivals too. It´s a different experience to play in front of larger crowds. Sometimes we even play at the daylight (laugh) if it´s optimal, that´s the way it goes but in clubs ,you know, the proximity of audience is better, the sound…. Interviewer: When did you last play at the daylight? Where was it? Fernando: Some festivals in Spain…it´s usually about 30 – 60 degrees outside. But being a musician you must be ready for a lot of situations and Moonspell already celebrates 25th anniversary of existence. I don´t want to be cynical but nothing really suprises us. Fernando: Yes, it´s a day-to-day thing , some people say to me that it is boring when you are on tours , but it´s not boring at all because every day we are in a different city..
Interviewer: Yes, this was the next question. How can you survive moving from one place to another? Fernando: The curiosity today was that there was a fan who came from Japan, it happened yesterday …We are planning to go to Japan, we haven´t been there yet…It was a Japanese woman and she came to the Czech Republic to see us. Yesterday I met some Finnish people in Prague. How do I prepare myself? My body and my mind, when I get on a tour bus or I get on a plane..
Interviewer: What about your last album? Is it in your mother language because it concerns what happened in your country, in your history? Is that the reason why the lyrics are in Portuguese? Interviewer: Is Spanish similar to Portuguese? Fernando: Well, Portuguese is a language close to Romanian, the Latin roots as a Spanish, you know, and we have an amazing crowd in Latin America, in Spanish countries and the new album was more than a compliment to them. In the past in 1755 it was in fact a dialect which was used in Portugal, Lisbon was a market place where people of different nationalities were meeting and could understand one another perfectly. Interviewer: I would like to mention your previous album “Extinct” which is great too. Interviewer: So have you started planning another album yet? Fernando: Yes, we have. It will be in English as a follow-up to Extinct. It´s not going to be released this year because we are planning a live DVD and a lot of tours..
Interviewer: Do you still write lyrics for your songs? And you write some poetry too..
Fernando: Yes, that´s right. I have been writing lyrics for Moonspell since we started. And nobody else speaks it out (laugh), so it makes sense. I´ve been writing some poetry in Portuguese and this month translation of my book into English is coming up. I like writing, it´s more than a hobby, it´s a passion. Life is the greatest source of my poetry, it´s very personal. Interviewer: What is the procedure when you start making a new album? I mean how do you put the lyrics and the music together? Fernando: It depends. 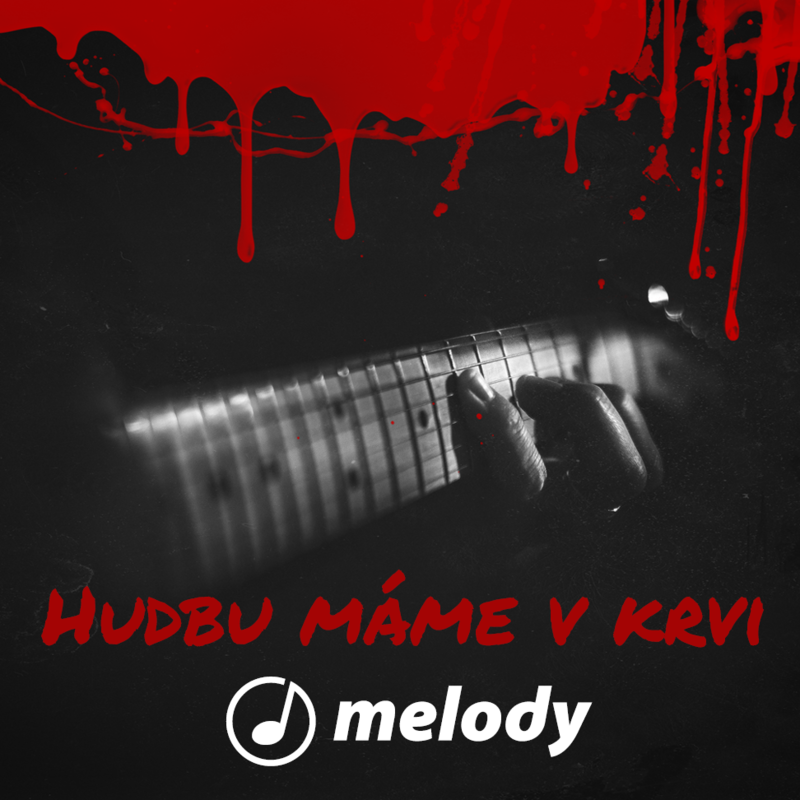 Like in “1755” I write all songs first and then it´s a very natural process, it´s like you give a name to a kid. I´m very productive with texts, normally I write the text , then we check up with music and we add whatever is needed. I have a wife and a kid, time is an issue. And my wife is a singer too, she´s got her own tours..and my kid is too young to go on tours with me. And I want him to be himself, I´m not pressing on him to listen to my music only… I´m trying to prepare my kid to make decisions in life because this is important in life. Interviewer: Do you still have lectures with students? Fernando: I´m a professor at school for art and multimedia, it´s a night shift, something like evening classes and I earn my living this way as well. We talk about music and music industry .. In April I am going to have a talk at Science University. Interviewer: How many times have you visited the Czech Republic? Fernando: I think at least 15 – 20 times, we were for example in Vizovice, it was the very first time in 1995 when we were there, then in Prague, Brno or Pilsen.It´s a great country for us, we have strongholds for our albums here. Everybody likes the Czech Republic.The beer is excellent here( laugh). We meet a lot of Portuguese students in your country, mainly studying here or having parties. Interviewer: Do you have time for visiting interesting places in the area where you play the shows at? Fernando: Nowadays, the schedule is more complicated than before. When we were younger , we had more time, we tried to see a lot. For example, I love Moscow in Russia.I love the literature, food, beautiful palaces, I think it´s my favourite city beside Portugal cities. Interviewer: Which songs from the new album are you going to play tonight? 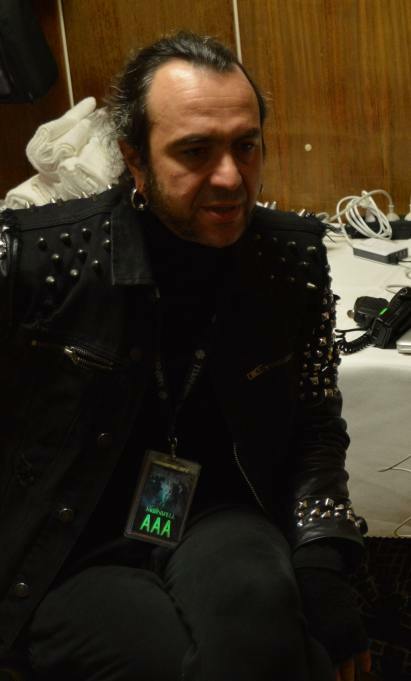 Fernando: We are playing a lot from the new album, so let´s say about 7 -8 songs. Interviewer: Is there any song you’ve been attached to a lot because it has some special meaning for you? Fernando: Yes, there is. „Future is dark“ is a very personal song, „Malignia“ as a tribute to a dead friend.That´s exactly why music is made, my music is for friends and people I love and you can express yourself, which is the top. The times when we were very frustrated in jobs….And all members of our band contribute to creation of new songs, we have the same line-up for many years unlike other bands.We are very close to each other and we are like family. We have family ties. Newly-formed bands rely mostly on the internet but that´s not the right thing, they finish usually soon. Interviewer: So when you look into the future, can you find yourself working on a new album? Fernando: Yes, like I said before, we are going to tour a lot this year. We´re visiting Russia, playing in Portugal in a lot of shows, then in Latin America and of course we are playing in festivals, not only in big cities but smaller ones as well, everywhere…Portugal is a small country but sometimes our music doesn´t reach out Lisbon, so we want to take it to smaller places too. In September we´re planning Canada, The USA and then maybe before the end of the year we will do Australian and Japanese tours and then the DVD, it´s comin out before the summer, it has been already recorded, it´s a three-hour DVD. But I think the really catchy point is the documentary about the days before the gig. And you can get some closer look.The total playing time of the DVD is about 4 hours. Interviewer: What about any side projects? Fernando: Just a label, we are going to sing on new Rotting Christ album, in Portuguese. I love Rotting Christ, they are amazing. Inteviewer: Is there any band or an artist you would like to perform with? Fernando: Any band. Of course, Iron Maiden, Gojira, Ghost, or Metallica are bands everybody would like to be with on the stage. But to be realistic Rotting Christ are our friends since 1994. And I like Tribulation, they are really awesome…many bands I would like to share the stage with….or watch….As long as like their music, it´s fine. The first person who I met was Quarthon from Bathory when I was 16.This inspired me to have a band. And then the second important person I met in my life was Peter Steele from Type O´Negative ……. and I had a very weird encounter with Marylin Manson. Interviewer: Do you have a Facebook account? Do you use it? Interviewer: We are very happy you provided the interview. We hope that things that future holds for you are nice and hopefully we meet you again one day. Fernando: Of course, we are coming back to Ostrava in the summer.